Wow! it's November already. Not ready at all for this cold weather and the allergies that come with it. Thought I should let you know I'm no longer using the yahoo email you'll find on some of my patterns. With all the hacking going on there I just decided to let it go. 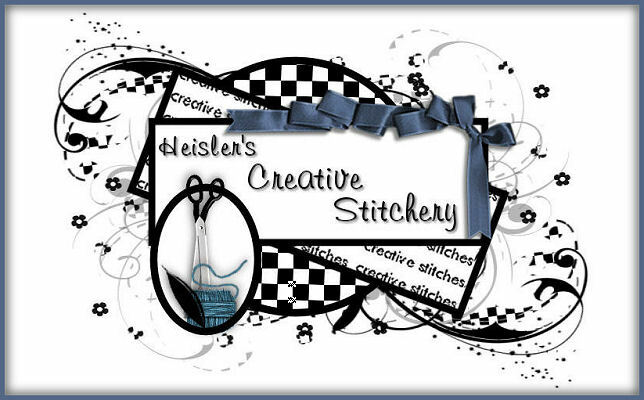 If you need to contact me the best way is to convo me at etsy (1creativestitches) or message me at ebay (creativestitches). You can email me at my hotmail account (bjh150) but there's a good chance it would be marked as junk. If you try the email address and don't hear from me try one of the other ways. I'm working on a cute elephant pincushion along with about a dozen other things, like decorating tatting shuttles again. I wanted to add some pics here but every one I tried to upload went sideways. Getting tired of this problem they refuse to fix. It's been a slow summer for me. 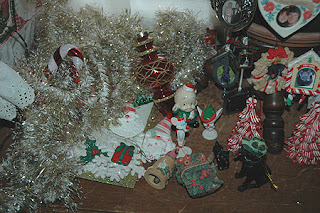 I just couldn't seem to want to find the time to update the website and here on the blog. You'll notice I now have another page tab. It's for my pincushion patterns. Right now there's just Buttons, the bear. I'm working on an elephant I hope to have done before the end of the year. 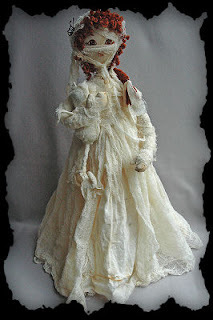 News about Dollmakers Journey. 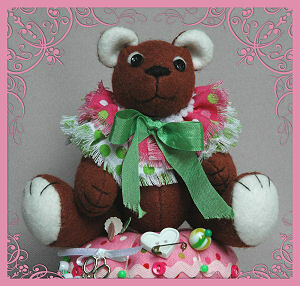 They recently added my pincushion pattern and the spring and summer tatting patterns. 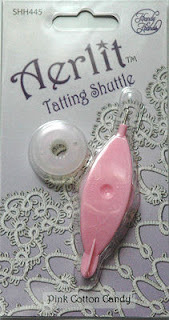 Have a look at the tatting patterns even if you don't tat. 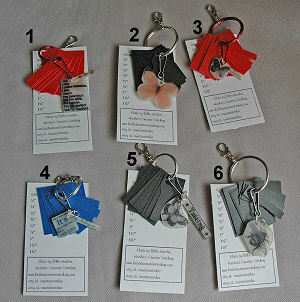 I include directions for each of the items the tatting is attached to. 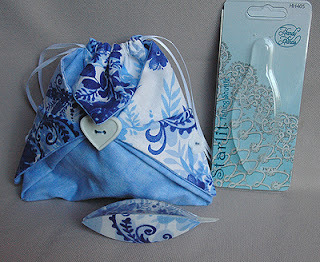 For example, in the summer pattern you get directions for 2 purses along with a case for business cards, a ring bearers pillow, and chair pockets with a pincushion on the top. All for only $12! You'd probably pay that much for just the bucket purse directions. This is a close-up of my newest pattern. 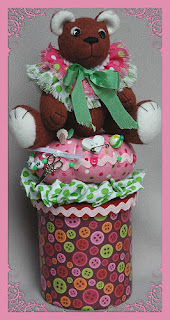 It's for a felt bear sitting on a fabric pincushion. The pincushion is then attached to a container. I used a plastic icing container and give directions on decorating it but any container with a lid could be used. You could even use a decorated gift box. I've seen some nice ones at my local Dollar Tree that would work great. The pattern is available at my Etsy store right now and soon I'll get it up at my Patternmart store. The price is $8 for a PDF version. No printed version until next week. The reason for no printed version of the pattern is that my printer finally stopped working. It won't even turn on now so yesterday I ordered a new one. I really hate having to replace it since it worked great for so many years. Fingers crossed this one is a good one, too. 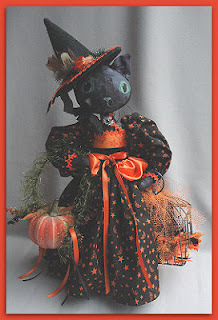 This is the cover picture for the pattern. A little more about this pattern. 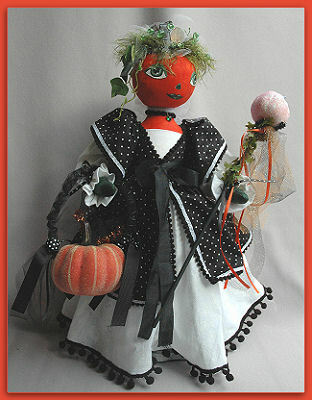 It was designed for Soft Dolls & Animals magazine last fall and was to be in one of the spring issues. Sadly they stopped production with the Dec/Jan issue. I rewrote the directions in Publisher and now it's ready for sale. I'm planning on designing more. I have a rabbit and a cat waiting to be "dressed" and an elephant and mouse waiting to be sewn. I guess doll making isn't as popular as it once was. It's truly sad to have seen so many doll magazines end over the years. One woman who was involved in the business for many years was Gloria "Mimi" Winer. I was so shocked to find she passed away this past Feb. When I was first dipping my toes into the business I wrote her a letter asking a lot of questions and telling her about my problems with panic attacks. She surprised my by calling. In fact she called a few times just because she said she was thinking about me and wondered how I was. 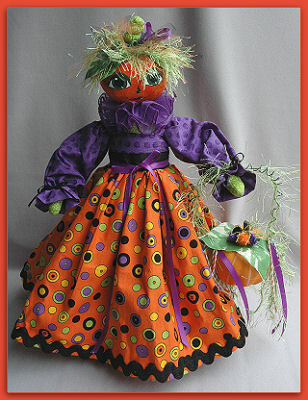 She was a treasure in the doll making world and I'm sure many of us will miss her. I found her husband is still keeping her business going so google her name to find places where you can buy her patterns and back issues of the newsletter she used to publish. I own a few of the patterns and they are fantastic! I also have all of the newsletters. It seems this is the year for me to keep having trouble with computer stuff. Now it's my old Canon Pixma printer. I got it the same time as the computer I use. It runs Win XP so you know it's all pretty old (esp. when talking electronics ). What I love so much about the old thing is that the inks are all separate and the thing that holds them is removable. It's not too hard to clean, I've done it. Also it did work really great and after reading comments about other printers I feel lucky I got a good one. But now I'm getting an error message saying the ink waste pad is almost full. I checked the Canon site and they don't service my printer any more. Next I googled the problem and got too many conflicting ways to clean the pads. It was the same thing with the ink holder. One guy uses a garden hose while other people say to avoid getting water anywhere but the very bottom. So you say why not just get a new one? I just bought ink so now I have 5 black, and one each of the other 5 colors. From what I can find at Canon the new printers don't use this size anymore so I'd have to try to sell them on ebay where I just bought them. Why am I telling you all this? Well, if you want a printed pattern you may have to wait until I either fix my pixma or get a new one. I'll update about this later. I just got interent service back after being without for over 24 hours. Thanks a lot verizon :-p It's been happening a lot lately but not for this long. They even sent me a new modem for free. Mine was from 2007, so yeah it was time. Nice to have a modem with wifi instead of 2 separate pieces. Just hope that whatever was causing all the problems like getting knocked off the internet has been fixed. I know I seldom put tatting things up at ebay unless they are jewelry but I decided to list 3 shuttle/bag sets and 2 chatelaines with gauges. Here are some pictures. The 2 at the bottom have Eiffel tower printed fabric, so cute! 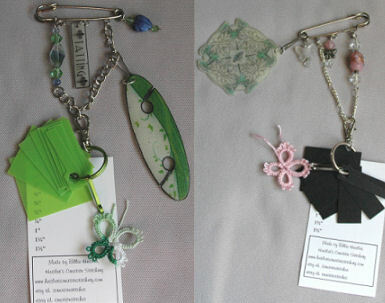 Hope you'll head over to ebay and look for these items being sold by me, user name creativestitches. Thanks! Need some Luck of the Irish? 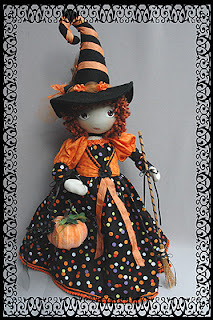 Try my new dolls! 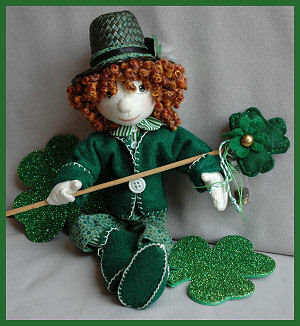 I just listed 2 new dolls at ebay (creativestitches) The boy leprechan is Brendan and his is sister is Brenna. 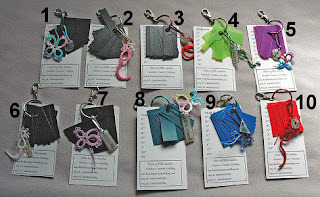 They are $45 each plus shipping. 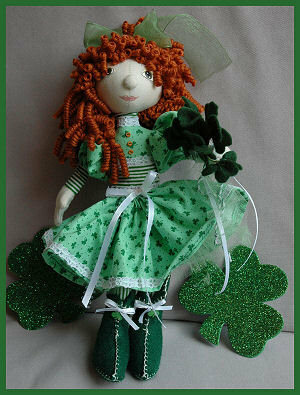 Cute decorations for St. Patricks Day. 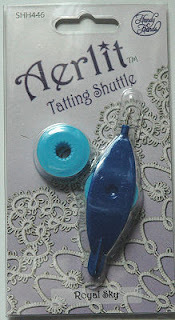 If you're looking for tatting gauges I justed a lot of new ones at etsy. Here's some pictures. Here we are statring a new month and I still can't get to my sites at webs. They have deleted them as far as I can tell. I even tried to sign up for a new one and got a glitch (st least that's what they call it) message saying to try again in 15 minutes. 15 Minutes later same thing. They seem to be really messed up. Last summer the local Kmart closed (why can’t somebody run this business right!). I was there going through the racks of clothing marked down to $3, $5, and $7. Not one to pass up a super fantastic bargain I stocked up on t-shirts, turtlenecks (wish I had bought more), jeans, sweats, and even some shoes. With all the shopping points I had I ended up getting half the stuff free. But there was a problem. Of the 5 pair of jeans I bought 1 pair was my size, 2 were a size big, and 2 were 2 sizes too big. I thought they’d probably shrink so it would be ok and would be great to wear around the house. With the spandex in them they’d be as comfy as sweats. You may wonder why I didn’t get any jeggings/leggings if I wanted something stretchy. I’m just not comfortable wearing them. Even with a long tunic top I feel too exposed so it’s sweats and stretchy jeans/pants for me. After washing and drying the jeans a few times I found they didn’t shrink at all. The ones that were 2 sizes too big could be pulled up and down without unzipping! I had to wear a belt to keep them up which I hated because I’m not a fan of belts. That’s when I started thinking about adding elastic to the waist. It was such a coincidence that one evening I thought up how I wanted to do it and the next day a sewer I follow on Facebook shared a quick video of just what I had thought up. I thought it was such a great tip I wanted to share it with you. The elastic is added just to the back but you could put it wherever you like. I put Fray Check on the cuts in the waistband. After sewing the elastic in place, I trimmed off the extra elastic, hand sewed the opening closed, then covered it with a piece of seam binding. Ribbon would work too. This would also be great for waistbands on skirts. There are other videos, too. She has a lot of great sewing ideas. I've tried to get to my web site at webs.com since my last post and still no luck. They aren't answering messages when I can post them. Others are complaing about the same thing so I'm guessing they've been hacked, getting rid of the free users, or are closing up. They were a good site when I first built my site there but this is just crazy. SO if you saved the link PLEASE remove it since I don't know what's going on there. If they've been hacked you could end up with a virus or worse! Just to let you know I did updates on my 2 web sites but the one at webs.com wouldn't let me upload the 2 calendars I made to share with you. I waited about 4 hours and tried again but now I can't log in at all. Apparently there's something wrong there today as others are complaining about the site, too. If you want the free calendars to print go the the tripod site and click on the Free Patterns link. They're at the bottom of the list. Tripod's a pain because of all the ads which is why I started a site at webs. Now that they've become unreliable I guess I'll have to shut it down. 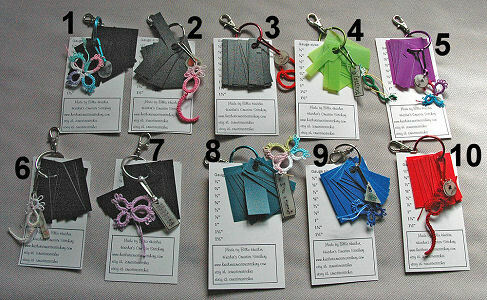 You can see all my patterns here at the blog and see all the links for where I sell. 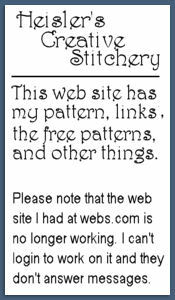 You don't have to go to either of the web sites unless you want free patterns. I'm sorry for any problems this causes you. Time to put away the holiday dec and get back to work. I sprained my ankle and had to shut down the Etsy store right after Christmas. I also let all the listing expire at Ebay. I planned on re-opening last week but once again while out feeding the birds I lost my balance (was wearing smooth soled shoes, bad, very bad on ice) and landed in the snow. Unfortunatly it wasn't enough to cushion me so I was feeling pretty bad for a few days. 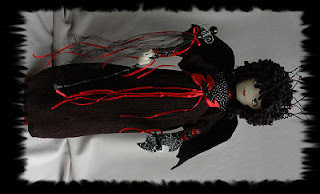 Now that I'm feeling better I'll be relisting at Ebay, including listing some Valentine dolls and the I'll opening the Etsy store. This is a pic I meant to share last fall. 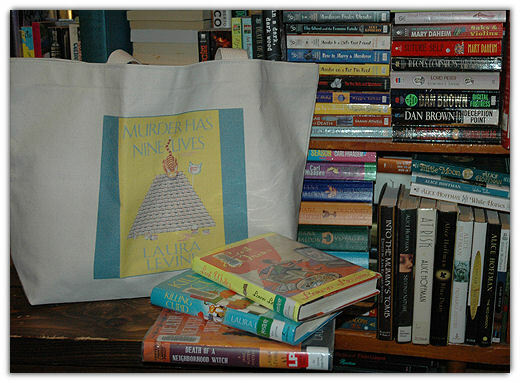 I won the tote in a contest writer Laura Levine had. Last year I won books, a calendar, and other fun stuff from contests writers hold. This year I only entered Lauras, one Kim Harrison had, and two for Janet Evanovich books. I took the pic in front of one on my book shelves. This one's fill to the edges with books to read.